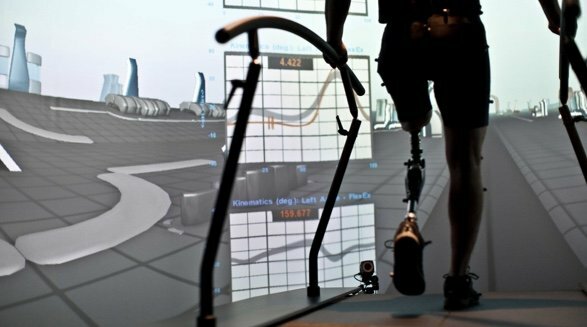 Summit Medical and Scientific are the UK distributor for AMTI, Motek, Hocoma, Cometa, Treadmetrix, and AccuPower Solutions, supplying innovative biomechanics and rehabilitation systems across the country. We were founded over 20 years ago, and we’re based near Leatherhead in Surrey. We are proud to work with market leaders to bring state-of-the-art rehabilitation devices and precise measurement systems to the top institutions across the UK. We’ve worked with the Ministry of Defence, the Defence and National Rehabilitation Centre (DNRC), Headley Court (DMRC), Glaxo Smith Kline, University College London (UCL) PAMELA Project, Manchester City Football Club, Swansea City Football Club, the Brain and Spinal Injury Centre (BASIC), Loughborough University’s Sports Science Department, the Sports Surgery Clinic in Dublin, Kinetic Research Group, and The Orthotic Research & Locomotor Assessment Unit, to name a few. We support our customers through the whole process of buying, installing and using our products. We take the time to find the apparatus which suits your needs, take care of logistics and installations, and provide training and ongoing support once you’re ready to go. We supply systems which support rehabilitation for brain and spinal injuries, neurological conditions, orthopaedic disorders, Parkinson’s disease, stroke, geriatrics, paediatrics, amputees, and movement disorders such as cerebral palsy and multiple sclerosis. Additional body weight support is optional for users who are unable to stand or support themselves. We also offer equipment which can be used within research facilities, universities and sports centres for the assessment and measurement of balance, gait, strength and conditioning, sports performance, EMG as well as equine and veterinary uses. Choosing the most appropriate system for your needs and environment. Advice on installation and, whenever needed, providing an installation service. Advice on custom builds, tailor-made for your requirements. After-sales support. Once you have purchased your system, we will continue to provide technical support and advice. Taking care of logistics and liaising with research and clinical personnel, technicians, architects, contractors etc. Arranging for the re-calibration of force sensors with AMTI, including shipping to and from the USA. Conducting site visits as required. Leasing equipment and providing 3-month clinical trials on select systems.